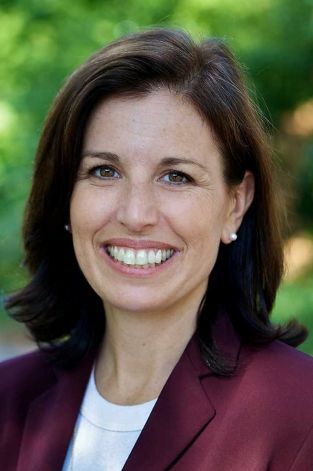 Sen. Gayle Slossberg (D-Milford) was recognized for her work protecting Connecticut’s environment, receiving an overall perfect score from the Connecticut League Of Conservation Voters. The 2015 Environmental Scorecard, which rates Connecticut’s state legislators by the votes they have cast on key environmental bills, has Gayle with a 100 percent score this year. Senator Slossberg is currently pursuing an environmental impact evaluation to ensure that there are no negative environmental impacts associated with the proposed buildout of Silver Sands State Park in Milford. Senator Slossberg submitted testimony before the Connecticut Department of Energy and Environmental Protection’s Office of Long Island Sound Programs advocating on behalf of her constituents and environmental advocates who are concerned with the buildout. Senator Slossberg supported a new law that extends the ban on pesticides to include municipal playgrounds. Municipalities will only be able to apply pesticides to their playgrounds in the event of an emergency situation where pesticides are needed to eliminate an immediate threat to human health. The full statement can be viewed on the Milford Patch or you may head to Gayle’s website here. To receive updates from Gayle’s office you can sign up for her “e-newsletter” which is also located on the front page of her website. This entry was posted in News and Events and tagged Connecticut League Of Conservation Voters, Gayle Slossberg, Long Island Sound Blue Plan, Milford. Bookmark the permalink. ← Milford Democratic HQ – Grand Opening – You’re Invited!